Starting seeds indoors can be tough, because there’s not enough sun. Lack of sun, results in leggy plants. Fix that issue by starting seeds under a grow light! 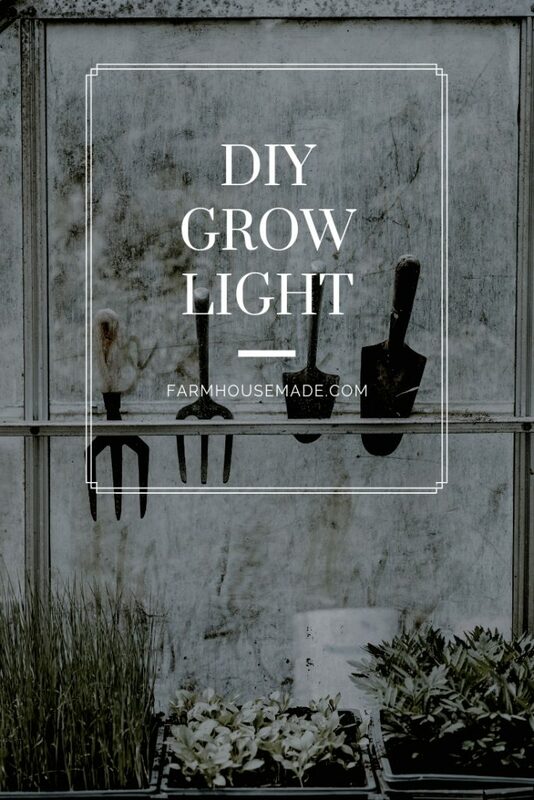 You can whip up this DIY grow light easily with a few supplies and a fluorescent shop light! It’s that time of year. The time where the snow is starting to melt. When things are covered in snow, salt, dirt, mud, and grey. Temperatures could be anywhere between 65 and -2 in a week (here in PA). Days are getting longer, guys. It’s time to plant the seeds. I literally ordered my seeds the other day from (not an affiliate!) Baker Creek. Our back garden/farm/mud pit is covered in remnants of last season, and also… mud. We are playing a bit of round robin with our beds, and they’re in dire need of a soil refill. Andrew is not quite on board with my backyard farm plans, but I am… and I think that’s enough. Right? Before the seeds make it outside, they have to start sprouting inside. I learned the first year we lived here that the sun coming in the house this time of year is not even close to being enough to start seeds. Years before, we just purchased some started veggies at the store, or started them right in the garden. Last year… we made a grow light with a fluorescent shop light and some wood scraps and started a ton of seeds, and had amazing success! Our neighbors probably think we’re going weed, but we are not… just heirloom veggies and flowers. 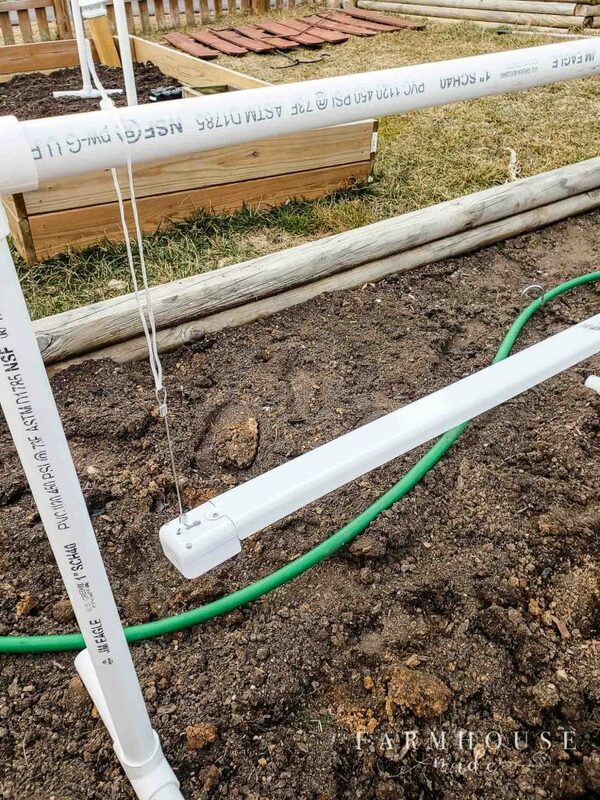 Because Andrew must engineer a lighting system fit for a commercial grower, he has upgraded our scrap wood lighting system to a PVC apparatus. 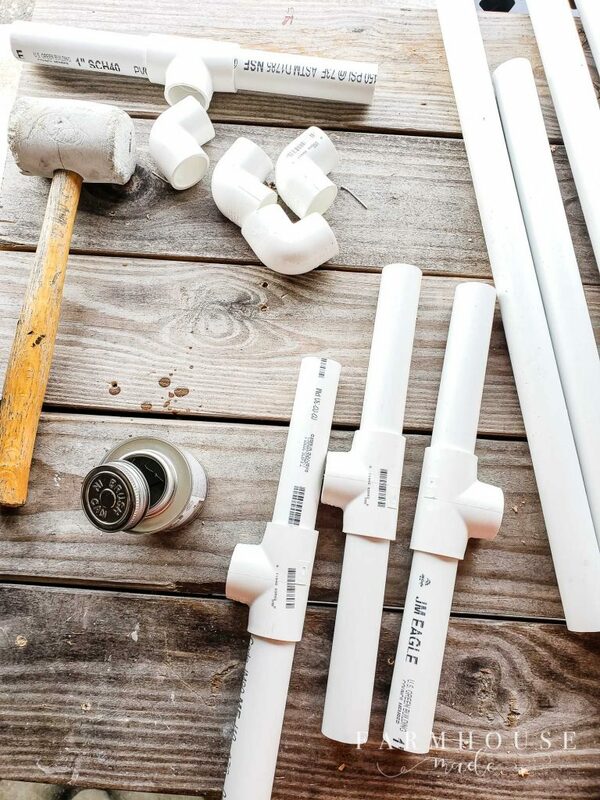 Read: he wanted to build something with PVC. You can whip this grow light very easily. 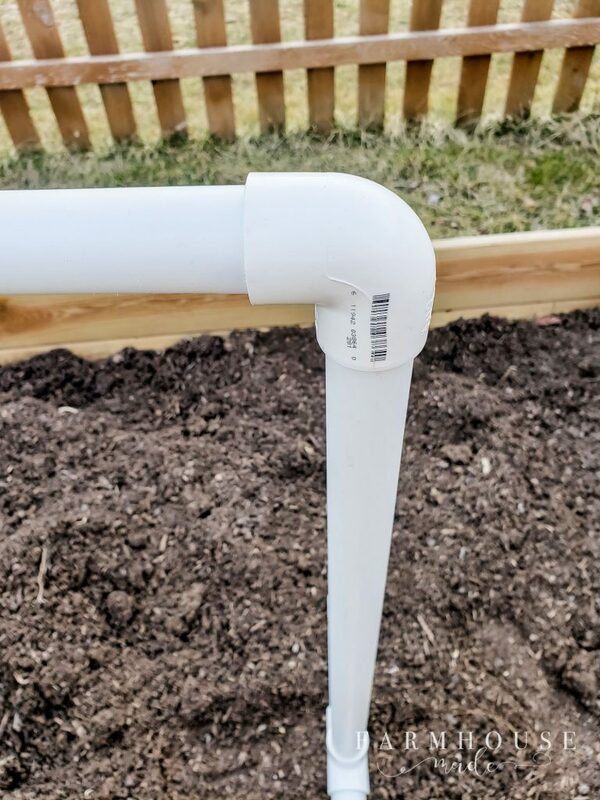 Depending on how many seeds you’re starting, you can adjust the length to suit you, or build multiple setups. This post contains a few affiliate links. Full disclosure about this policy? Here. 1 can PVC cement, if you want this to be ultra super beyond engineered – skip this if you’d like to take your set up apart in the off-season for storage. I hung the shop light from the crossbar with some rope, and i just raise it as the plants grow. I use one of these set ups, with a tray of seeds, and rotate as necessary! The indoor houseplants might die every time… but I can grow seeds like a champ. In case you missed it, Sarah has a comprehensive list of seed starting essentials from last weeks Fast Fix Friday! EVERY(ISH) FRIDAY, MY GIRLS, THE PURPLE HYDRANGEA AND 1915 HOUSE, AND I GET TOGETHER AND BRING YOU A SUPER SIMPLE, FAST FIX TO SIMPLIFY AND BEAUTIFY YOUR HOME AND LIFE! 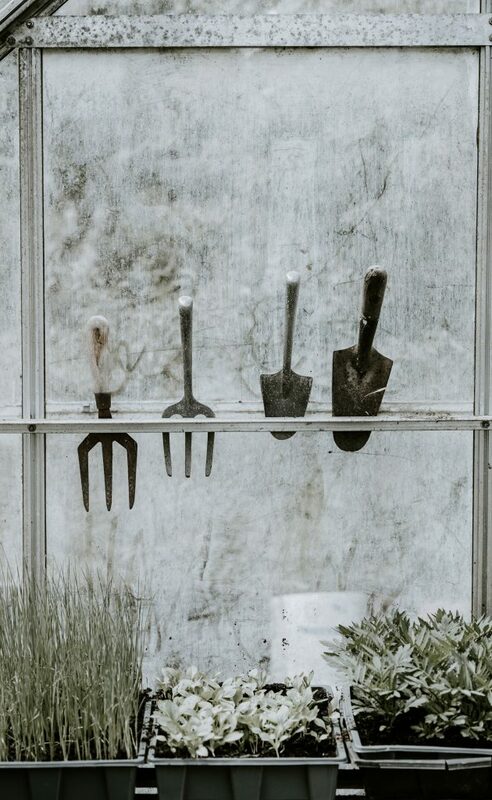 Tell me on FB, IG, in the comments, or email: What are you growing this season!? Oooohhh YES!!! I’ve got one big grow light already, but I need another and my Jimmy-rigged “second light set up” is a little precarious. This project is going on our to do list ASAP!